While most of the information on competencies is the same as it has been since I’ve been learning about the area, the field does change in certain ways. I remember when I first talked to Signe Spencer, the Hay Group expert on competencies, in 2004, she told me that the competency, integrity, was becoming more widely used. Remember, we’d just seen the problems with Enron and WorldComm. In 2006, I was in the Boston area and had the privilege of meeting Signe in person. At that point, she told me that the competency, information seeking, or research, was becoming more and more important. As the economy changes and organizations are looking for new ways to survive, we can guess that key leaders in forward thinking organizations are looking hard at what it will take for them to be successful in the future. And that means we may see some organizations throughout the world emphasizing different competencies than they were three years ago. For the employees strategic enough to anticipate the change and advocate for themselves effectively, the next few years may offer some very interesting opportunities. Expect to see those changes. In one of my classes last week, five students came to class 30 minutes late…on a day they were supposed to present the results of their semester long project. I am still trying to figure out what they were thinking. In terms of competencies, you can’t be successful and get positive results if you don’t show up…and showing up 30 minutes late is very close to not showing up. And the key here is the perception of others about the quality of your work. Organizational awareness? How will your professor or manager perceive your being that late on a day you are supposed to present? What does being very late tell others about your interpersonal skills – or sensitivity to keeping everyone waiting for you? We are all late sometimes. But be careful not to be late on a day when you are actually presenting – or other people are really depending on you. Like many Americans, I spent most of today cooking. We will actually eat our Thanksgiving food tomorrow because one of the important people at the table is a senior at University of Texas, and he needs to be at a certain football game starting in about 15 minutes. It is always interesting to get away from our normal patterns for a few days and do something different. The pumpkin bread, sweet potato casserole, pumpkin soup, and dressing are made and in the refrigerator…so tomorrow should be easier…dessert and turkey. I think I have realized that I need to do a better job of delegating in the future…but it is kind of fun to cook a big meal occasionally. Tonight, I made a leg of lamb, spinach salad, roasted sweet potatoes, and chocolate souffle. I’ll report on the results later. Happy Thanksgiving. I hope you’ve spent it with people you like, and with only minor drama. Interpersonal skills and organization savvy???? More and more organizations worldwide use competencies to help their organizations be more successful. 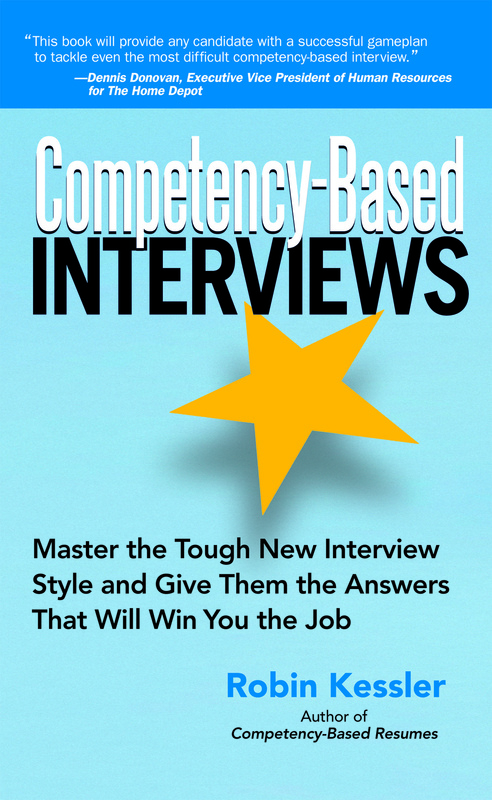 As a human resources consultant, I have seen organizations becoming increasingly sophisticated with how they use competencies to screen and interview candidates – and interview, train and promote employees. One month after deciding not to bid on a project to help a medium-sized manufacturing company identify competencies for several reasons, I realized that I could not find any books or articles showing employees and candidates how to advocate for themselves more effectively in competency-based organizations. I decided to write the books to help managers, employees, and candidates be smarter and more strategic in proving they (and their teams) are strong in the areas their organizations have identified as key to their success, key to their future. Okay, so today I’m going to talk about my plans to brine a turkey for the first time for Thanksgiving and how that might give me a competency-based accomplishment to use in the future. Which competencies? Initiative, for sure. Impact and influence? Well, I did have to explain to a key person who will be at the table that brining involved salt, which he likes, and water, so the change isn’t a bad thing. Analytical skills? I found the Emeril recipe online, and then thought about talking to my friend Paula Hanson, who is a very good cook, and she recommended the Alton Brown Good Eats Roast Turkey (with brining) recipe she used last year. Results? I’ll let you know after Thanksgiving! Here’s to a wonderful Thanksgiving in 2010. Start first with the competencies the organization has identified to help it be more successful for the future. Then determine the best way to explain how your success in each of these key areas. Know what competencies employers think it will take for their organization to be successful in the future. Be able to explain how your accomplishments prove competence – how you can help their organization be more successful because your past accomplishments prove you can. Don’t hesitate taking credit for your accomplishments. You did the work. Stay positive. It’s a luxury to allow yourself to get discouraged. Focus on building key competencies for your own future – and the future of the organization.